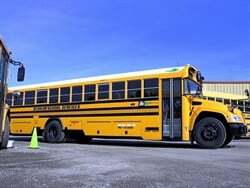 Despite the buzz and novelty around new all-electric technology, diesel school buses continue to be the nation’s most trusted student transportation technology. 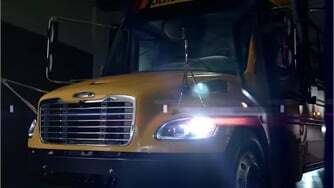 In fact, 95% of large school buses on U.S. roads rely on a diesel powertrain because of the unique combination of safety, efficiency, reliability, and durability that school districts have come to expect and demand. Thanks to decades of innovation, the latest diesel engines (2011 and newer model years) meet the demanding duty cycle school districts require, delivering students safely while producing near-zero emissions. 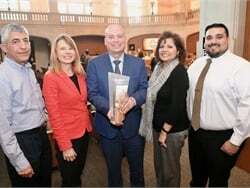 Even better, a growing number of the school buses on the road — now up to 40% — are equipped with the latest near-zero emissions diesel technology. • All current engines emit 90% less nitrogen oxide emissions compared to 2006. • Particulate matter emissions have been reduced by more than 90%, to 0.001 grams per brake horsepower per hour (GPBHP/hour) or less. The federal standard is 0.01 GPBHP/hour. • Nonmethane hydrocarbon emissions have been reduced to 0.01 GPBHP/hour or less. The federal standard is 0.14 GPBHP/hour. • Carbon monoxide emissions are 0.1 GPBHP/hour or less. The federal standard is 15.5 GPBHP/hour. In fact, it takes 60 of today’s diesel school buses to equal the emissions of one 15-year-old school bus. 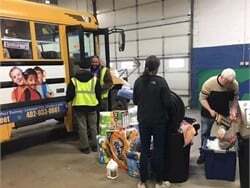 And, for a low-cost, overnight enhancement, a growing number of school districts also now use blends of high-quality biodiesel to power school buses, further reducing emissions and reducing reliance on imported oil. What’s even better than these environmental strides? 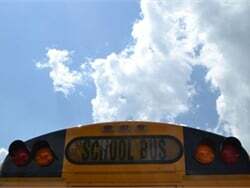 New-technology diesel school buses offer school districts more for their dollar. School districts have notoriously limited budgets, with innumerable demands for funding. All-electric technologies are exciting, but they are not a very cost-effective choice on a fixed amount of funds. Which would you rather purchase, if you had $1 million in your budget? 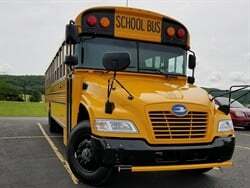 • Four new all-electric school buses, which can transport a total of about 290 kids. • Ten new-technology diesel school buses, which can transport a total of about 720 kids. While an all-electric bus would deliver a zero-emission ride for the 65 to 72 students on that bus and the houses along its route, what happens to the other buses in your district’s fleet? Does the electric bus investment drain valuable capital from the district, which in turn ensures that the balance of your district’s school bus fleet gets older and emits more emissions overall? These are just a few considerations of introducing electric buses into the fleet. For the same fixed investment, many more older and higher-emitting school buses can be replaced with new-technology diesel — or even compressed natural gas, propane, gasoline, or other liquid fuels — than with an all-electric choice. Plus, there are some great funding opportunities with a clean diesel option — matching federal funds that enable school districts to stretch their funds even further. Allen Schaeffer is executive director of the Diesel Technology Forum. 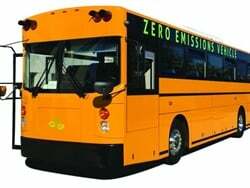 The EPA’s Diesel Emissions Reduction Act (DERA) program continues to offer districts the opportunity to receive funds to help replace buses that are model year 2006 or older. To date, nearly 25,000 buses across the country have already been made cleaner as a result of DERA funding. Meanwhile, for the EPA’s school bus rebate program, more than 90% of funds have gone toward clean diesel engine upgrades. Also, the recent settlement with Volkswagen includes a $2.9 billion trust to help introduce clean technologies across a wide variety of vehicles and equipment types, including school buses. There are many smart and simple steps to reduce emissions from school bus fleets, most notably a sharper eye to regular vehicle maintenance, and practical policies that restrict or prohibit vehicle idling outside of schools in pickup zones. Implementing these simple steps, along with a thoughtful bus replacement policy, ensures that a district will have a reliable, well-maintained, and newer fleet to serve the needs of its students and the community. 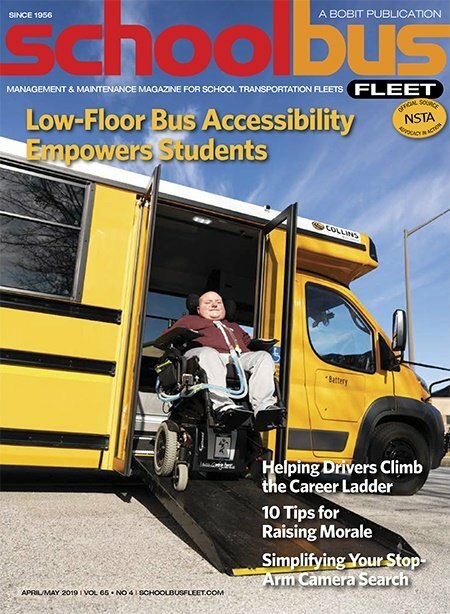 Diversifying transportation fuels and technologies in the school bus fleet may be of greater interest to some than others, but when the dismissal bell sounds at the end of the day, safe, reliable, and affordable pupil transportation is everyone’s assignment. 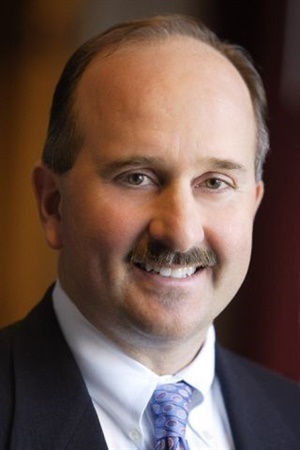 Allen Schaeffer is the executive director of the Diesel Technology Forum, which advocates for clean diesel technology. The nonprofit education organization is dedicated to raising awareness about the importance of diesel engines, fuel, and technology. Learn more at www.dieselforum.org. So these diesel buses don’t “blow coal” like new diesel pickup trucks do! There is nothing cleaner than electric buses. 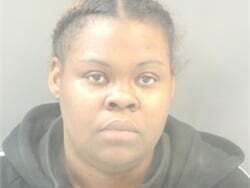 Not to mention the carbon monoxide and diesel soot that seeps inside the buses that your children are breathing in. As far as funding most school districts get funding thru property taxes or private funding. School boards need to stop wasting money on frivolous expenses and support CLEAN and safe bus technology ; electric buses! Either you want your children to breath cleaner air or you don’t care. 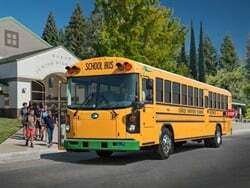 The manufacturer of the Synapse 72 electric school bus expects the move to bring new exposure and access to a larger base of retail and institutional investors in the U.S. and internationally. 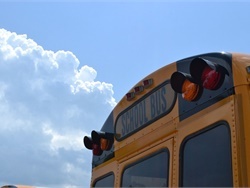 The electric power holding company's proposal to the North Carolina Utilities Commission would help fund the adoption of electric school buses and electric public transportation, and would lead to almost 2,500 new charging stations across the state. Senate Bill 299 would make school districts eligible for funds that would cover 75% of the cost of buying electric school buses or installing the charging infrastructure. Phoenix Motorcars will supply electric drivetrains for school buses and shuttles built by Forest River with the Starcraft Bus body. 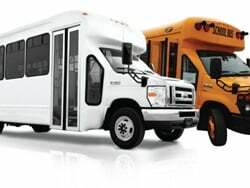 Creative Bus Sales will be the exclusive factory representative. The Propane Education and Research Council’s Propane Autogas Roadmap is designed to showcase fleets in a variety of markets nationwide that use the alternative fuel. 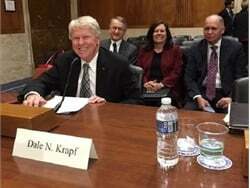 Transportation company chairman Dale Krapf testifies before the Senate Environment and Public Works Committee on the Diesel Emission Reduction Act program. Proposals for the program funds can be submitted through March 26. Bethel School District’s new Blue Bird Vision Propane buses are expected to produce nitrogen oxide emissions at 0.02 NOx. A growing demand for propane buses in recent years has sparked an influx of training programs for maintenance technicians. 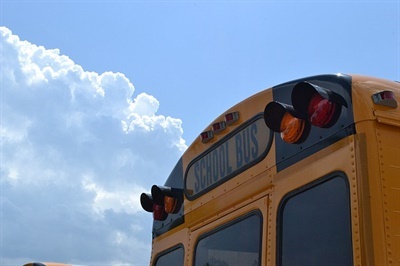 Here, industry experts share top tips and best practices for maintaining propane school buses. 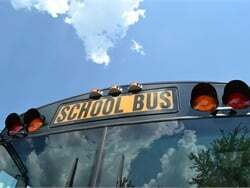 The state releases its third and fourth wave of settlement funds, approving the purchase of 67 new school buses for 35 school districts and charter schools. 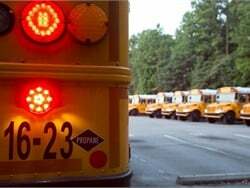 Fulton County (Ga.) School System will replace 85 of its diesel-powered school buses with new propane buses.